It’s that time of the month…time for a CoinFi progress update! Here’s a brief summary of what the CoinFi team has been up to since early April, and what we’re working on in May. It’s been nearly a month since the April 6 beta release. Overall we’ve received a lot of positive support. Most of the CoinFi community recognized that this release was just a first initial step towards the vision of bringing Wall Street caliber trading intelligence to crypto. At the same time, we want to acknowledge that the beta release did include a very limited feature set, and was also accompanied by a number of stability and data issues. Rest assured the team is well aware of these issues and we’re working hard to resolve these in a coming release. For Q2, we have product rollouts planned that will introduce new features and also fix a number of the issues that are currently affecting the platform, particular in terms of incomplete or inaccurate data. Thanks to all of you who took the time to report bugs and suggest new features. We’re processing all bug/feature submissions and prioritizing them accordingly. Instead of fixing every bug one by one, we’ll be upgrading to a robust data pipeline called Airflow (developed by AirBnB and open sourced) that will improve data integrity, which should address a number of the bugs that have been reported. Ever since the COFI token got listed on Kucoin, the founders have made it a top priority to grow the CoinFi team. We’ve also added 2 full stack developers to bolster our engineering team and are in the process of bringing on some additional data engineers and developers as well as a product manager. We’re still looking to fill several positions in our Hong Kong office, you can take a look at currently available positions here. Could CoinFi Be Growing Quicker? A number of community members have been monitoring our development progress on Github. Some of you have asked, why aren’t we hiring engineers quicker? Scaling up our engineering team is a top priority for CoinFi. However we are also very selective about who we bring onto the team, so the recruiting process takes considerable time and energy as we source candidates, evaluate them, and onboard the ones that meet our high bar. During that process, it may look like development has slowed, but this talent acquisition allows us to build faster in the future. Another thing to keep in mind is that software development always involves a trade-off between building quickly and building correctly. You can cut corners to accelerate your development timeline, but this means you’ll accumulate “technical debt”. In the long term, technical debt always has to get paid off. We’re building quickly, but we also don’t want to accumulate technical debt that will make it difficult to scale in the future. This process also requires committing upfront time to make long term architectural decisions that will impact how we can scale, which may look like minimal progress but actually sets a solid foundation for future development. Fortunately with our team growing, we’ve reached a stage now where we’re able to build significantly faster without sacrificing code quality. Please keep the questions coming; while the founding team doesn’t have time to spend in Telegram the way we did during the ICO, our fantastic admins update us after every Telegram shift, letting us know your concerns and questions. Rest assured we read it all and take it very seriously, but we also have to weigh your concerns and balance them against internal considerations and tradeoffs we have to make for the long-term good of the project. In April we announced a partnership with the up-and-coming trading platform HybridBlock. The HybridBlock team has raised $44M USD so far and is aiming to become the CoinBase of Asia. We believe their team is certainly positioned to execute on that vision. Perhaps more exciting is the fact we’ll be able to leverage our company’s respective core competencies to accelerate our development timelines and growth. You can read more about this partnership here. In April, we continued our focus on developing features according to our roadmap. In May, our focus will remain on building a great product, as well as producing more data-driven analysis and educational content for the CoinFi community. We’ve made a decision to no longer commit to firm deadlines for product release. 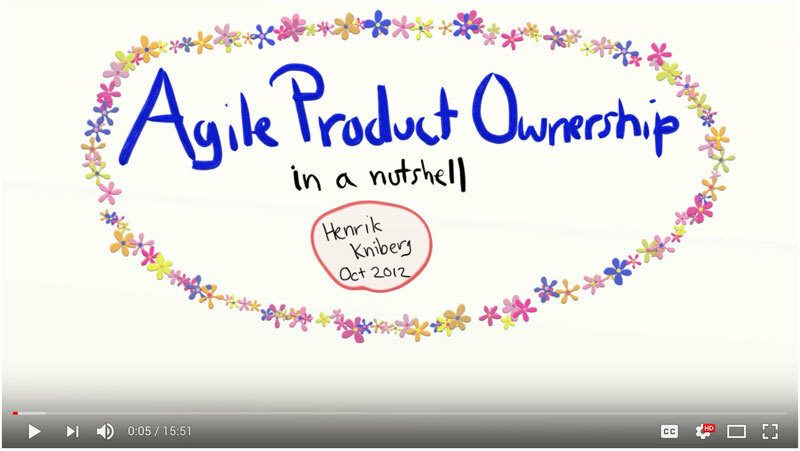 Software development is an iterative process, especially within a startup. Our goal is to ship high quality product with as few bugs as possible, and having externally imposed deadlines doesn’t always allow us to do this. The good news is that we’ve been fortunate to have a loyal community who have entrusted us as a team to focus on the long-term good of the project. Rest assured, we have aggressive internal deadlines that we’re aiming to hit in order to move things forward as quickly as possible. However, avoiding firm public deadlines will give us the flexibility to focus on delivering a quality product. With that being said, we always want to keep our supporters in the loop as much as possible, so let’s take a look at some of the features we’re currently developing. With the initial beta release, we offered a proof of concept for our market moving Newsfeed overlaid on price charts. If you’ve read the CoinFi whitepaper, you’ll recognize that we have a much more ambitious vision for how a Newsfeed product will fit into the overall CoinFi platform. 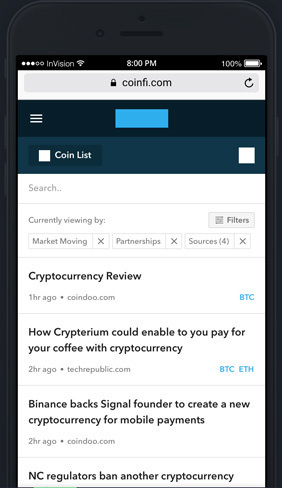 We’re making good progress towards delivering a full-featured CoinFi Newsfeed. We’re currently ingesting news from a wide variety of RSS and social feeds and a developed UI. 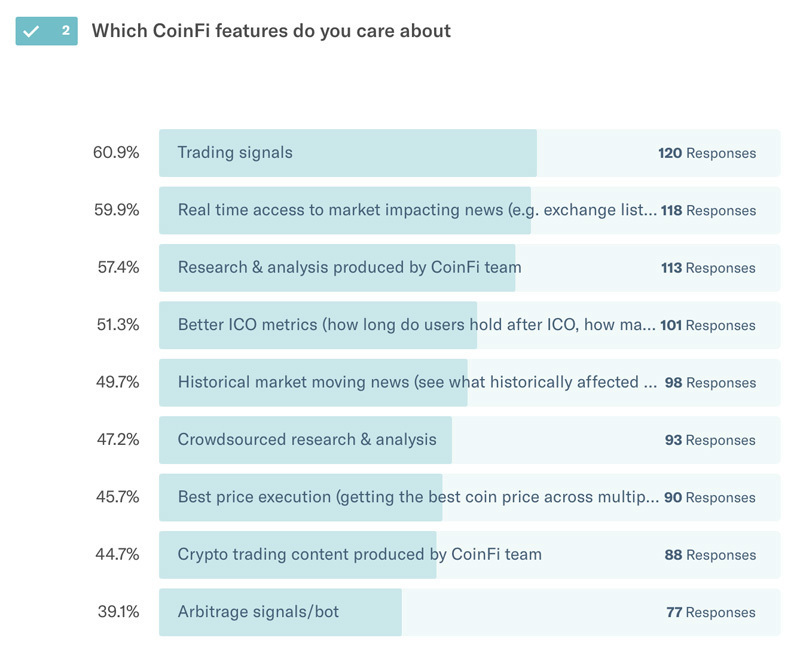 The new CoinFi Newsfeed will not only act as a standalone product, it will also feed news data to the CoinFi coin pages, leading to much expanded coverage and improved accuracy. This product will form another building block for our vision of a platform that will be the go-to destination in every crypto investor’s workflow. We initially targeted early May for a release of the new-and-improved Newsfeed, but based on current timelines it’ll likely be rolled out later in May or early June. We’ll be sure to keep you posted as development progresses. We also have some content planned to demonstrate how the Newsfeed is used by professional traders to quickly identify event trading opportunities. Stay tuned. In previous updates we discussed some of the advanced ICO metrics / visualizations that we will be incorporating into the CoinFi platform based on our analysis of Ethereum blockchain data. Some of these metrics include a Token Retention Rate and Token Distribution Graph. We’re actively working on incorporating these metrics into the platform and progress is going well. We’ll be releasing an analysis piece this week that takes a look at CoinFi’s own token retention rate and how it compares to some of the ICOs that released tokens around the same time as we did. Pushing these features into production will still require solving a few engineering issues, but we’re well on our way and expect these features to be incorporated in Q2. We’ve already written extensively about CoinFi’s market data warehouse, so I’ll keep this brief. We’re continuing to test and improve the robustness of the data pipeline so that we can push the data warehouse into production. When we release into production, it’s important that this data feed will be stable. While there can always be unforeseen obstacles, we expect the CoinFi platform will be pulling data from the new data warehouse by the end of Q2. These indicators are the rolling averages of the prices previously traded. Moving averages are a popular method used in traditional finance to identify momentum. So why is this important? In a trending asset class like crypto, momentum is an especially useful indicator. RSI, or relative strength index, is used in conjunction with other technical indicators to show if a coin is overbought or oversold. The idea behind these screeners is to help you identify interesting coins and also help you identify times to buy Coins you’re already interested in at a good price. As an example, if you have a portfolio of 20 coins, you’ll be able to run a screener on them to see which ones are overbought/oversold – this will give you a better idea of whether you should increase/decrease your position size in a given coin. These (and more) screeners are currently in development and we’re aiming to include them in a Q2 release. We’ll also be releasing content on how users can use these screeners to narrow down the universe of coins and identify profitable trading opportunities. In the original CoinFi whitepaper, we outlined a method for using token-incentivized crowdsourcing to improve access to news, data, as well as quality research & analysis. This system included a process of token-incentivized community voting to evaluate quality. As part of our roadmap, the plan was to initially roll out features with a centralized team, and over time, shift towards a model revolving around token-incentivized crowdsourcing. We’ve started preliminary work on designing, architecting, and implementing this system, though it likely won’t be in place until Q3/Q4. Back in November 2017, we showed the CoinFi community the many arbitrage opportunities that were available due to the immaturity of the market. Back then, there were so many inefficiencies that you could earn virtually risk-free crypto performing manual arbitrage. In the months since we released that initial arbitrage video, the market has been catching up. Dozens of crypto funds have sprung up, many specializing in automated arbitrage and deploying hundreds of millions USD in capital to exploit arbitrage opportunities. After extensive testing and development, we’ve decided not to release an arbitrage signal. In the current state of the market, manually executing simple arbitrage trades is virtually impossible to do at any reasonable scale. Automated arbitrage is still possible and we could certainly turn the CoinFi arbitrage signals into a bot (as per our original plans), but simple arbitrage is a zero-sum game that will only continue to get more competitive. As the crypto space becomes more institutionalized, we believe it will continue to become less feasible for the average retail trader to participate in straight arbitrage trades. We simply don’t think it makes sense anymore for the average trader to compete in the arbitrage space, especially when the markets are still relatively inefficient and there are plenty of opportunities to make profitable trades in other areas. We’d like to thank all of you who took the time to fill in our questionnaire and help us build a better platform for you. 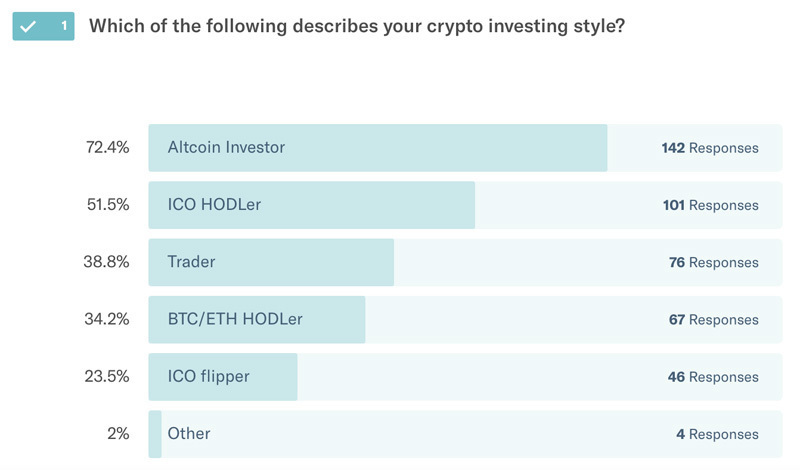 We received a lot of helpful feedback and gathered useful data on how our community trades crypto. If you haven’t filled it out, it’s not too late, you can help us build a better platform by filling out the questionnaire here. It’s been an interesting journey that’s only getting started. Just last summer, we were bootstrapping our initial prototype, then we spent the next few months running our token sale. While it feels like we’ve been at this for awhile, serious platform development and hiring has only been ongoing for the last 3 months. While development may seem sluggish when you’re closely following a project, progress is not linear – as we add more team members and build on the existing foundation we’ve laid out, the rate of new feature rollouts will accelerate as well. So while progress may feel slow at times, we will hit an inflection point where you’ll see growth accelerate exponentially. We anticipate this inflection point to happen in Q2, but we’ll leave you to be the judge of that. https://coincheckup.com this is what coinfi should look like at the end of Q2. I would suggest an merger or acquisition with coincheckup but that might be too far fetched this early in the game. UI makes a big difference in dapp adoption, if the project proceeds with the current look, it will not succeed.